On January 6, 2012, the newly formed Senior Council held its first meeting. The room was filled with enthusiastic seniors who joined the council for the purpose of improving communication with the staff and the Board of Directors. 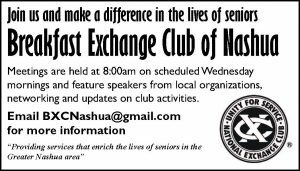 Moreover, they joined the council to work at improving the senior center and to act as ambassadors who are able to answer questions and bring new ideas to the staff. The Executive Director acts as the facilitator and she emphasizes that the meeting belongs to the senior council members.